The United States is the world leader in the field implementations of Bioremediation, an attractive alternative to conventional methods of cleaning up persistent hazardous wastes in the environment. Because bioremediation can be an effective, non-disruptive and cost-effective means of reducing or eliminating man toxic material . its should have an ever-increasing role in the successful remediation of hazardous waste and chemical spill site around the world. (Case of 12 bottles)the BEST galley drain maintainer on the market today. .Used extensively by Major Airlines, FKA is eco friendly and easy to use. It doesn't just clean drains it keeps them clog free. Used monthly FKA guarantees a well maintained drain eliminating down time caused by backups or odors.. FKA is Boeing and Airbus Certified. Contact us today for more information. FKA KLEEN has been formulated and tested for use by British Airways and Iberia Airlines for the elimination of clogged galley drains. (2 x 20L bottles)The BEST galley drain maintainer on the market today. bioremediation food fats, oils and greases, removing them totally and leaving a fat-free surface.. .Used extensively by Major Airlines, FKA is eco friendly and easy to use. It doesn't just clean drains it keeps them clog free. Used monthly FKA guarantees a well maintained drain eliminating down time caused by backups or odors.. FKA is Boeing and Airbus Certified. Contact us today for more information. Call for Pricing 978-457-9229 Saltx 1 gallon concentrate- Miraculously removes salt and Salt water from any surface and leaves protective coating that preserves and extends surface life. The most effective Metal Protector for hundreds of applications! Use Salt-X to rinse off harmful deposits of salt from Salt Water, salt water spray and road salt used during the winter months. Industrial use to rinse salt deposits from tractors, tractor trailers, ocean containers, shipboard equipment, metal buildings, snow plows, salt spreaders, construction equipment, trains, buses, locomotives, boxcars. Saltx Fights Rust , corrosions & Salt Water. SaltX helps reduce the corrosiveness of salts and removes salt deposits by reducing the salt content as measured as chloride. 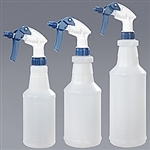 (spray Bottle; 32oz) Touch plastic Spray Bottle Marked ounces and Milimeter measurement. includes standard Blue Nozzle. Sprayer adjust from line to steady stream. Bottle size is 32oz. minimum order of 6 (Scooper; 2 Quarts) a 2 quarts scoop. (Pail opener) Helps open Any Pail like ice melt, and any other pails. Great for opening pails, easy to use.